Next generation sequencing (NGS) is playing an increasingly important role in clinical research and clinical diagnostics. This expanding utilization has largely occurred outside of the U.S. Food and Drug Administration’s (FDA’s) regulatory process. In part, this is due to the lack of clear regulatory guidance as to how tests using NGS would undergo regulatory review; NGS-based tests do not neatly fit within the current regulatory model. The lack of clarity makes it difficult for FDA to articulate expectations, and deters companies from submitting applications. Unclear regulatory requirements and pathways make the review process more unpredictable and risky for applicants. Another thorny issue is product change. 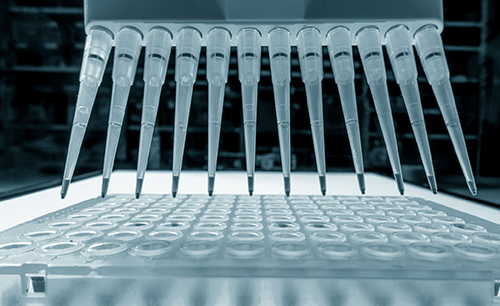 While in vitro diagnostic (IVD) tests tend to change over time, NGS tests are far more elastic. Obtaining clearance for an NGS product that is static, e.g., cannot be updated to reflect new data or genetic insights, is not commercially viable. To FDA’s credit, the agency has been working for a number of years to develop clearer guidance on NGS assays, and has solicited substantial public input. On July 8, FDA released two draft guidances. One addresses the acceptability of curated data bases, and the other data requirements for IVDs for germline mutations. Both documents are important not only for their impact on NGS tests, but also the insights they offer into FDA regulation of other kinds of IVDs. The first document, entitled “Use of Public Human Genetic Variant Databases to Support Clinical Validity for [NGS]-Based In Vitro Diagnostics” is seemingly narrow. It addresses the ability of NGS applicants to rely upon curated databases in lieu of providing clinical validity data. The use of external data to demonstrate clinical validity is critical to the viability of submitting applications to FDA for NGS IVDs. Generating its own data to prove the clinical validity of a single biomarker or genetic sequence can be challenging for a company. Trying to do that for a wide range of variants would be daunting in the extreme, and would deter or prevent applications. FDA has opened the possibility of NGS applicants referencing a database rather than generating its own data. The implications of this approach go beyond NGS. There are other situations in which IVD manufacturers want to use external information to show the clinical validity of markers. A recurring issue for IVD companies is demonstrating clinical validity. Offering another interesting insight, FDA notes that there “are several parallels” between guidelines for variant curation and FDA review of clinical validity. To the extent that the draft guidance shows greater receptiveness to reliable third party sources, there would be a welcome spillover effect. However, while FDA has unlocked the door to the use of curated databases, pushing the door open will not be easy. FDA is not proposing that any and every database may be cited. Rather, an applicant can only use databases that pass FDA muster, and that will not be easy.